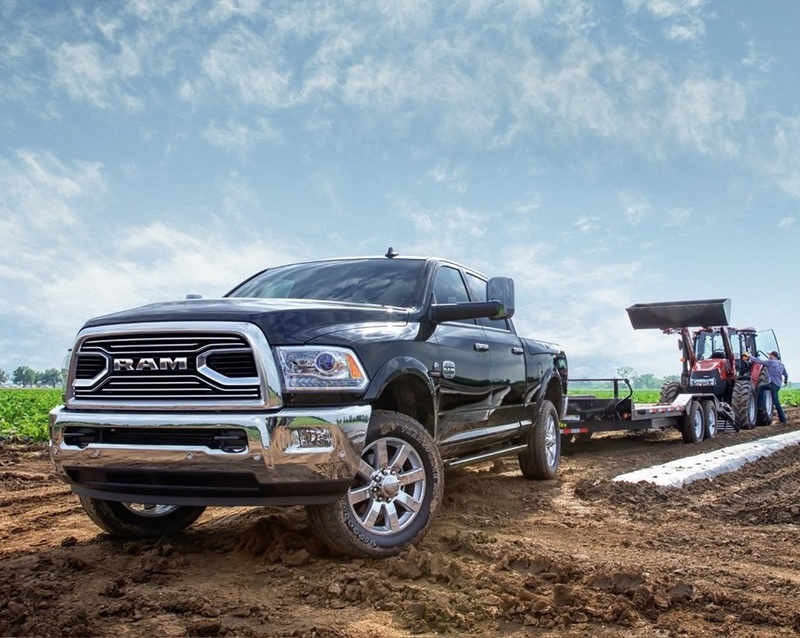 The RAM 2500 is one of the most capable professional grade trucks in the market. But is this the right truck for your needs? To help you make the best decision, we are proud to put together a comprehensive review of the 2018 RAM 2500. serving Albuquerque Santa Fe Los Lunas New Mexico, Melloy RAM believes that every customer deserves to get all the information they need before making a decision. With that in mind, this review will cover 5 of the most important aspects of the RAM 2500. First, we will look at the standard and available interior features. Afterward, we will venture outside and check out the standard and available exterior features. Next, we will look at the mechanics of the 2500. Then, we will dive into the powertrain numbers. Finally, we will give you a in-depth look at the safety features. Those considering a 2018 RAM 2500 in Albuquerque will get all the information they need to see if this powerful truck belongs in their driveway. What makes RAM 2500 so special? It's probably the fact that the exterior style of these tough trucks commands respect on the road. And the 2500 doesn't mess around when it comes to exterior style. The standard features you'll find on a 2500 exterior include a 17-Inch Steel Spare Wheel, 17-Inch x 7.5-Inch Steel Styled Wheels, LT245/70R17E BSW All Season Tires, Automatic Headlamps, Halogen Quad Headlamps, Incandescent Tail Lamps, Body-Color Fuel Filler Door, Body-Color Headlamp Filler Panel, Fixed Long Mast Antenna, Front Bumper Sight Shields and Manual 6-Inch x 9-Inch Black Mirrors. Those looking to personalize the 2500 to their taste can select from a number of exterior options. These available features include 18-Inch x 8.0-Inch Steel Chrome Clad Wheels, 18-Inch x 8.0-Inch Steel Wheels, 20,000 lb. Direct-Mount 5th-Wheel Hitch, Full Size Spare, LT275/70R18E BSW All Season Tires, Clearance Lamps, LED Bed Lighting, and Chrome Tubular Side Steps. For those who want a truck that stands out from the crowd, the RAM 2500 will be the obvious choice. 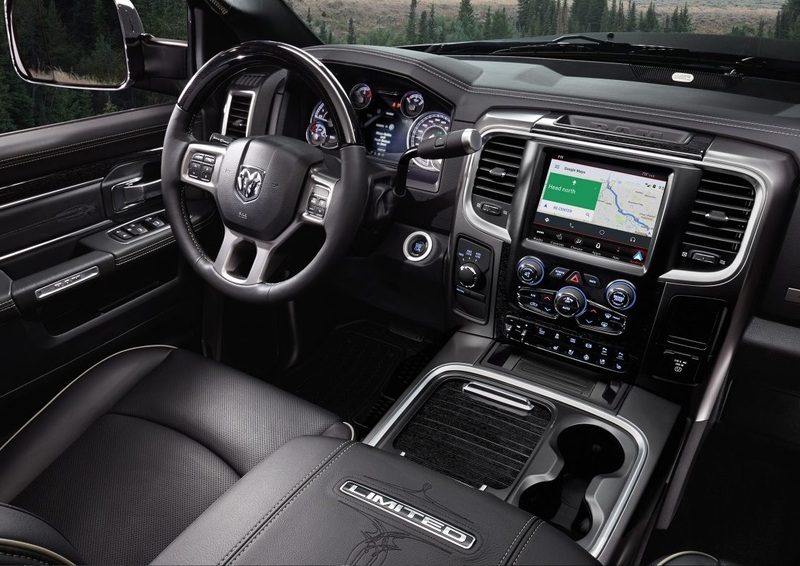 The perfect truck interior should be comfortable enough for long trips and tough enough to handle day-to-day duties. And the RAM 2500 has one of the best interiors of any truck in its class. Standard features include a 40/20/40 Split Bench Seat, Height-Adjustable Front Shoulder Belts, Manual Adjust Seats, 4-Spoke Steering Wheel, Air Conditioning, Dash Liner Insulation, Electronic Vehicle Information Center, Instrument Cluster with Display, and Tinted Glass Windows. To make the RAM 2500 truly your own, you can select from a number of available options. These available features include Floor Covering Carpet, Instrument Panel Mounted Auxiliary Switches, Rear Sliding Window, Up-fitter Electronic Module (VSIM), and Black/Diesel Gray Interior Colors. Overall, those who choose to drive the 2018 RAM 2500 in Albuquerque will enjoy one of the most comfortable interiors of any truck in its class. Talk to any truck engineer and they'll tell you how important the mechanics are in a vehicle. And at RAM, the mechanics are a top priority. Standard mechanical features on the RAM 2500 include 6-Speed Automatic 66RFE Transmission, Anti-Lock 4-Wheel Disc Brakes, 160-Amp Alternator, 3.73 Axle Ratio, a 730-Amp Maintenance Free Battery, Electronically Controlled Throttle, 11.50-Inch Single Wheel Rear Axle and 6,000 pound Front Axle. Those who want to enhance the capability of their 2500 can opt for a number of available mechanical options such as 220-Amp Alternator, 4.10 Axle Ratio, Dual Alternators with 380-Amps Total, Engine Block Heater, Ram Active Air, and Auto Level Rear Air Suspension. Serving Albuquerque Santa Fe Los Lunas New Mexico, Melloy RAM is proud to offer some of the most rugged and capable trucks in the region. We know our customers well. And we know that our customers demand a truck with some serious horsepower. With that in mind, we are glad to report that the RAM 2500 has a formable selection of powertrains. Let's start with the standard 5.7-Liter V8 HEMI® VVT Engine that offers up to 350 horsepower and 400 foot pounds of torque. Those who want to step things up can opt for the 6.4-Liter Heavy-Duty V8 HEMI® with MDS offering up a powerful 470 horsepower and 485 foot-pounds of torque. Finally, there is the incredible 6.7-Liter I6 Cummins® Turbo Diesel Engine that offers up to 385 horsepower and an unbelievable 900 foot-pounds of torque. No matter what you are looking for in a truck, the 2018 RAM 2500 has a powertrain that will get the job done. At our dealership, we believe that safety is important. That is why we are proud to show you all the advanced standard safety features available in the RAM 2500. These standard safety features include Advanced Multistage Front Airbags, Electronic Stability Control, ParkView® Rear Back Up Camera, Sentry Key® Theft Deterrent System, Speed Control, Supplemental Front Seat-Mounted Side Airbags, Supplemental Side-Curtain Airbags, and Tire Pressure Monitoring Display. From bumper to bumper, the RAM 2500 has the safety features you need to handle the road with confidence. 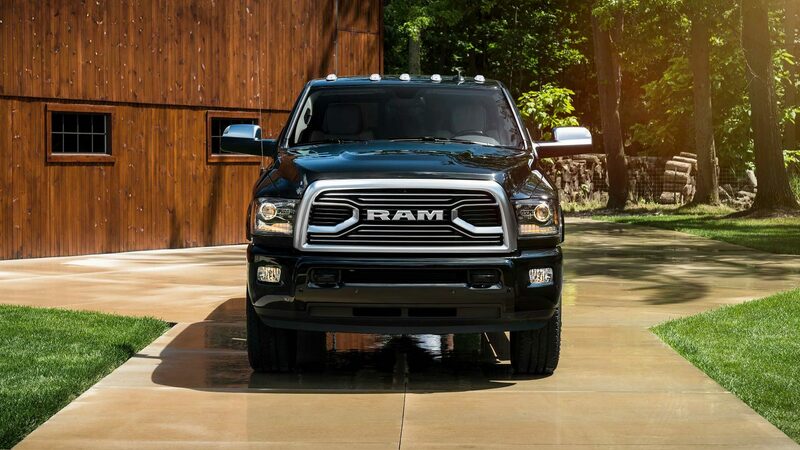 Melloy RAM invites you to lease the RAM 2500 truck today. Our sales team works hard to give you the ultimate leasing experience and will go the extra mile to make you happy. 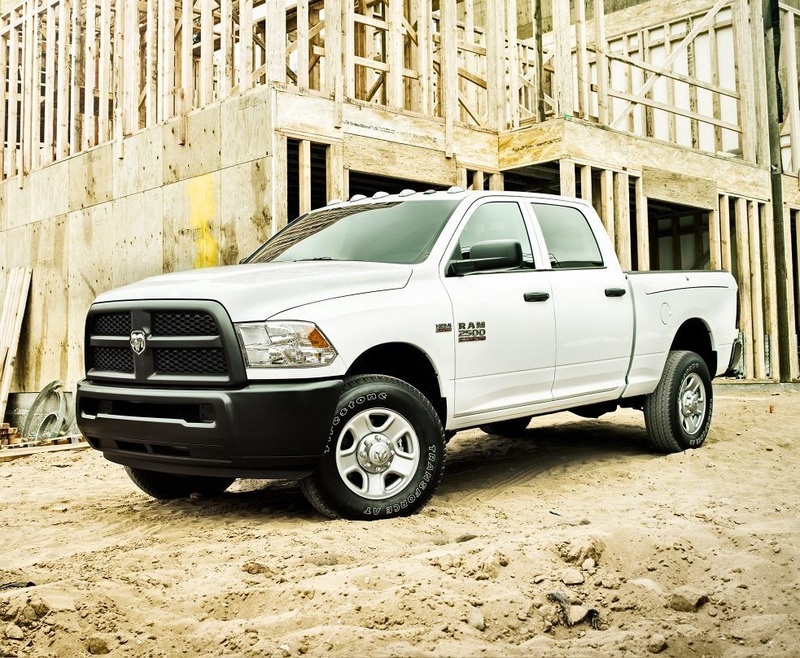 Hurry, our inventory of RAM 2500 trucks will not last.